What is often described as an eerie moonscape is nonetheless the benefactor of many early fort dwellings, churches, an abbey, and the famous Stone Age Poulnabrone Dolmen, a standing tomb circa 2500 BC. Associated folklore includes the Legend of Bothar na Mias (Road of the Dishes), an account of a 6th century hermit named St. Colman living in the Burren, who after a severe Lenten fast, had nothing to eat on Easter Day. At exactly the same time in nearby Kinvara, good king Guaire Aidhne sat down to a sumptuous meal, exclaiming that such a feast should rather be enjoyed by true servants of God who had no food. 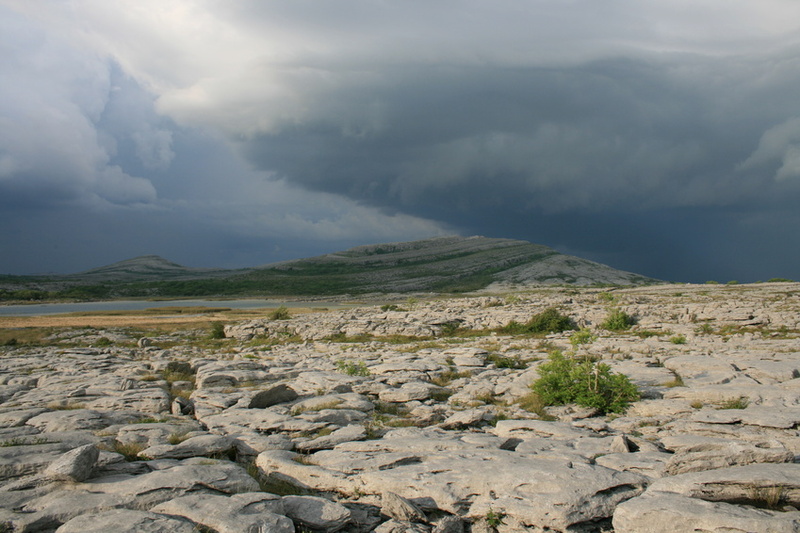 Perhaps this legend is a befitting sketch of the Burren itself: austerity and bounty joined in unexpected ways—and warmth found in the unlikeliest of places.